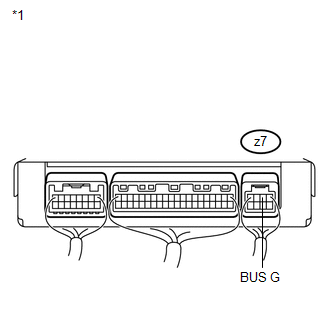 The air conditioning harness connects the A/C amplifier and each servo. 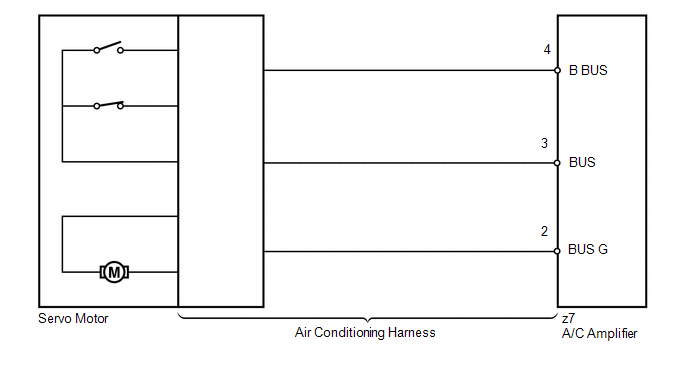 The A/C amplifier supplies power and sends operation instructions to each servo through the air conditioning harness. Each servo sends the damper position information to the A/C amplifier. 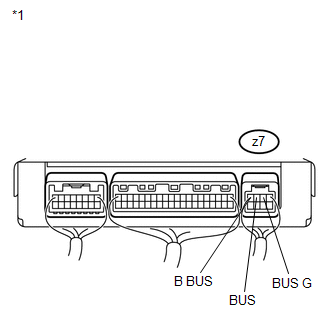 (a) Remove the A/C amplifier with the connectors still connected.